Rock Village developed as the community of Beaver Dam beginning in the late eighteenth century. In 1783, a dam and sawmill were constructed on Black Brook just upstream from Highland Street and the mill operated through the mid-nineteenth century. About 1806, a freshet washed away a portion of the dam, following which both the dam and saw mill were rebuilt. The mill operated seasonally from October through mid-April when work was discontinued until the following fall. Milling was generally a winter occupation when little else could be done on the surrounding farms. In 1826, Henry Bishop brought suit against the mill owners for damages caused by the impounded waters of the dam overflowing his property. Since its establishment in 1783, the mill had "flowed the water of Black Brook several feet above the banks" of the brook. The owners of the mill in 1826, however, were unable to prove their case, having "lost by time and accident the privilege" of overflowing the brookside properties, and Bishop was accordingly awarded damages for the flooding of his meadows. Confronted with their financial obligation to Bishop, and unagreed on whether to reconstruct the mill, the mill owners ceased operations. The mill subsequently fell into disrepair and was taken down. The mill was rebuilt in 1835-36 and immediately became the subject of renewed litigation when the owners of the mill sought to clarify their right to impound water and overflow the adjoining properties. On June 16, 1837, mill owners William Thomas (1/8 share), Henry Thomas (1/8 share), Samuel Rider (1/8 share), Zechariah W. Rider (1/8 share), Asa Benson (1/16 share), Foster A. Keith (1/8 share), Jesse Vaughan, occupant, and William O. Barrows, occupant (1/16 share), Stephen C. Rider (1/8 share) and Samuel P. Keith (1/8 share) made application to establish their right to overflow the adjoining properties and to request that depositions be taken of Martin Keith, Esq., and John Thomas, yeoman, both of Middleborough. On July 10, 1837, Martin Keith's deposition was taken by Isaac Stevens, "counsellor at law", and Ebenezer Pickens, Esq., justices of the peace. Notice was given to the interested parties, namely George Williams, 2d; Henry Bishop; Jonathan Cobb; Samuel Cobb; Horatio N. Thomas; Nathan Bennet; Oliver Thomas; Elias Cushman; Abraham M. Cushman; Hiram S. Smith; Joseph Leonard; Stillman Vaughan; William Nelson; William O. Barrows; Samuel Rider; Zachariah W. Rider and Henry Thomas. All except Samuel Cobb, the Cushmans and Barrows were present at the taking of the deposition. Documentation from the case and particularly the deposition made by Keith (1771-1854) is invaluable for providing much of what is known about the mill. Keith's deposition follows in full. I Martin Keith of Middleborough in the County of Plymouth and Commonwealth of Massachusetts Esq. of lawful age to give evidence in oath depose and say that I shall be sixty six years of age on the twenty second day of the present month of July, that ever since I was ten years old I have lived within about one hundred rods of the place where stands the saw mill called the Beaver Dam saw mill in the Town of Middleborough with the exception of one year that is when I was about twenty six years of age, I removed to Winchester in the state of New Hampshire and after living there one year returned to Middleborough and during the year that I was so absent I was frequently at the place where I formerly resided and have since resided. 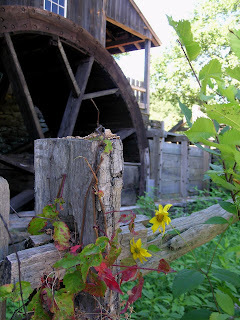 My father Joseph Keith was one of the original builders of the saw mill above mentioned. The said saw mill and dam were built in the year seventeen hundred and eighty three and the said saw mill has been in operation every year since it was built till the present time with the exception of eight or ten years. These eight or ten years commenced immediately after a reference which the owners of the said mill had with Henry Bishop which I believe took place in the year eighteen hundred and twenty six. The mill as afterwards rebuilt and commenced operation in the month of February A. D. 1836. The dam was shut down and the pond flowed from the first of October in each year to the twelfth day of April in the succeeding year during all the time of the operation of the mill. The dam of said sawmill is generally about the same height at which it was first built but about thirty years ago the dam broke since which time it never has been so high at the Easterly end as it was before that period and could not hold the water so high by from four to six inches since the mill was rebuilt in 1836. I should think the water in the pond had not generally been kept so high as it was formerly. I am positive that it has not been kept as high as it was previous to the breaking of the dam before mentioned both before and after rebuilding in 1836 and since the breaking of the dam before mentioned, I have known the water run over the Easterly end of the dam, but this was only in cases of freshets. The name of the brook on which the saw mill stands is Black Brook. Who were in possession of the lands where said saw mill and dam are situated previous to their being built in 1783? Seth Miller Jr., Esq. who appeared for Jonathan Cobb and George Williams 2d objects to the foregoing question. Joseph Keith was in possession of the land on the east side of the brook and John Swift of that on the west side. Who were the original builders of the mill and dam aforesaid? Joseph Keith built one fourth part, Moses Thomas one fourth part, Asa Hunt one fourth part, and Elisha Rider and Samuel Rider one fourth part. Of what other adjoining lands if any was the said John Swift in possession of at the time of the building of said mill, and what if any were flowed by said dam? S. Miller atty as aforesaid objects to said question. The said John Swift was in possession of all the lands that have been flowed by said pond which are situate on the west side of the brook till it comes to the farm then owned by Barzillai Thomas but the said Swift was not in possession of any land lying between said Black Brook and Spring Brook. In whose possession are the lands now which were formerly in the possession of said Swift as aforesaid and which are flowed by said dam. George Williams and Nathan Bennet. All the lands now in the possession of either the said Williams or Bennet which are flowed by the said dam was formerly in the possession of said Swift as aforesaid. In further answer to the third question the Deponent says that said Swift before or at the time of the building of said mill was in possession of the lot now called the Saw-mill Hill and also of the lands where the said Williams and Bennet now live. Question by S. Miller Esqr. attorney as aforesaid. Are you not and have you not been an owner in said mill and are you not interested in this application? About thirty years ago my father Joseph Keith gave me what right he had in the mill and dam, and I rebuilt one fourth part of said mill and I ever after occupied the said mill or my part thereof, till after the reference with Mr. Bishop before mentioned, and I continued to own there till the summer of 1835 when I told my two sons Foster A. Keith and Samuel P. Keith that they might have all my right, and the said Foster & Samuel rebuilt one fourth part of the mill in the years 1835 & 1836 and have ever since improved said mill, and about the fifteenth day of June 1837 I conveyed all my title to said mill and dam to them the said Foster and Samuel by deed of Quitclaim. This deed is now before me and I find it bears that date on the 14th of June which is the true date - The consideration mentioned in the deed is twenty dollars but I received nothing. I had no agency in building the mill nor any concern therein. I know of no interest in this application other than I have above stated. Was the above deed given to your sons for the purpose of making a witness of you in suits which have arisen or may arise in relation to the subject matter of the application? I had no such purpose. It was my object to convey the property to them according to what I told them before they rebuilt. Did any of the mill owners say to you previous to giving the deed to your sons that you could be a witness by giving such a deed or any thing to that effect? In conversation among the mill owners last winter I heard it observed that Mr. Henry Thomas and myself not having been concerned in the rebuilding of the mill could be witnesses but nothing was said about a deed. Did you know that application to the Justices to take your Deposition was about to be made at the time you signed the deed and did not William Nelson Esq. tell you so? I do not recollect of Mr. Nelson saying anything about it, but I had heard some of the mill owners conversing in my shop about taking my deposition. They were not conversing with me nor do I recollect who were thus conversing. What was the situation of the mill in the year 1825? I think there was a mill there and that it was in operation. Was it in good repair and working order? It was in working order, but as to the repair I don't know much about it. Was not the mill abandoned in 1826 because Mr. Bishop recovered damages for flowing? Mr. Bishop's recovering damages brought up the Question among the mill owners as to the expediency of working the mill and paying the damages. The owners were not agreed upon this Question and never came to any agreement upon the subject until the rebuilding above referred to in 1835 & 1836 and the mill was not kept in operation during this period because the owners could not agree to be at the expense of rebuilding and paying the damages. Some were for rebuilding and others not. No one was determined to build but some [were] undetermined on the subject. Did you not say in the presence of Mr. George Williams after the reference that the meadow owners had upset the mill and that you had abandoned the mill, or words to that effect? I do not recollect any such thing - I think that I might have said to him that it was probable that the mill would never be rebuilt. What became of the mill which was standing in the year 1825? Three or four years after the saw mill stopped a majority of the owners got together and sold the materials of which the mill was composed and it was taken down. It was in a dilapidated state at that time. Some parts of the stone work of the Pillars were taken down and carried away but not one sixteenth part of it, and there were more stone left than were used in the rebuilding. Were the mill Irons and all the fixtures and implements attached to the mill [removed]? Most of the mill Irons were sold, all that could be found. Some have been since found and are in use now in the mill. The sale of the Irons was to one mill owner, the wheel and shaft remained there till they rebuilt and they rolled it out. Was there a new flume put in when the mill was rebuilt about thirty years ago and also in 1836? I think there was at both times. I refer to the mill flume and not the waterway. The wasteway flume was rebuilt after the dam broke and also when the mill was last rebuilt. Did you ever measure the height of either of said flumes? I do not recollect that I ever did. Have you any mark by which you know the height of the pond was usually raised after the dam broke and up to 1826? Soon after the dam broke as before stated a place across the East end of the dam was left lower than the other parts of it and made hard that the water might find a vent in case of a freshet and that part of the dam remains now as it was fixed at that time. There has been nothing carried in thence nor taken away - The length of this low place is about two rods and is lowest in the middle. Does the present mill stand on the same spot as the old one? The mill has stood where the present mill stands ever since 1806 but the first mill stood about two rods or twice the width of the mill I should think to the Eastward. The flume of the first mill took the water through the dam and of the two last around the West end of it. Who was in possession of the land on the West side of the brook on which the mill was built at the time the first mill was built? Did your father devise or give you any estate, if you state what. The applicants object to this question as irrelevant and as not being the best evidence of the fact. My father made a deed to me of his farm. It is partly as a gift, and pay for services. He died in the year 1814. Have the mill owners old papers in their possession relating to the mill privilege not recorded?